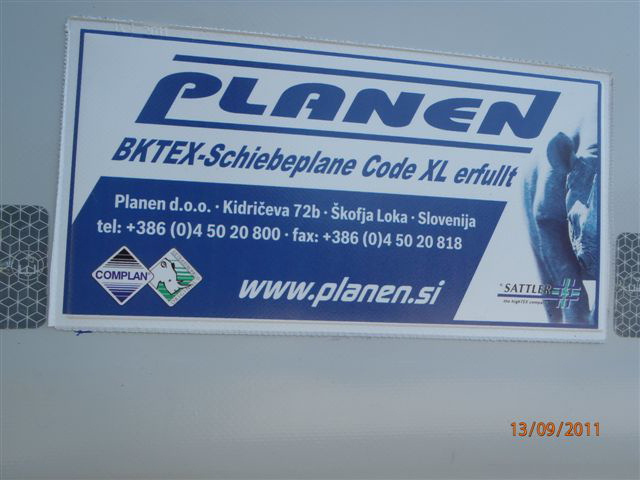 Planen, d.o.o., a leading Slovene company in themanufacture of truck tarpaulins has crowned its quality work and products with success; it obtained the XL Code Certificate by the German organisation DEKRA, thereby fulfilling the requirements of numerous forwarding agents. 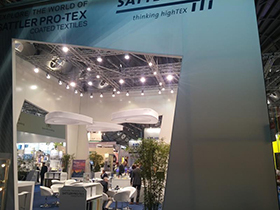 In May 2011, the company obtained the certificate for side curtains (tautliner) according to the DIN-EN 12641-2 and DIN-EN 12195-2 standards. 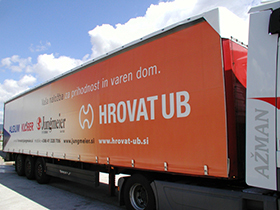 A growing number of forwarding agents have to deal with rejection of shipments through Germany and Austria, or they even get fined for not having their cargo properly secured, and truck’s side curtains certified. The company Planen d.o.o. has, therefore, decided to have its products certified to avoid such inconveniences. 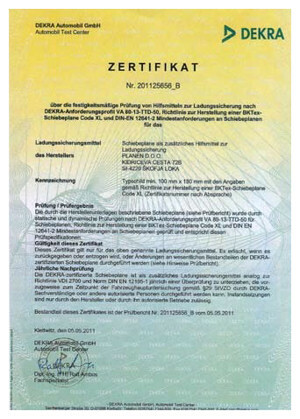 On 5 May 2011, the company obtained the certificate for side curtains (tautliner) according to the DIN-EN 12641-2 and DIN-EN 12195-2 standards. 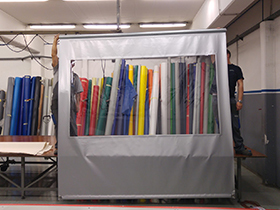 The side curtains certified according to the BKTEX procedure enhance safety of the cargo, as the installed parts are certified and approved by the German company DEKRA. 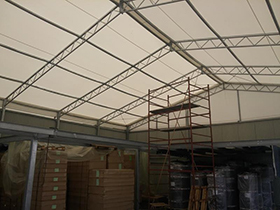 The tarpaulins are of special construction with reinforcement straps vertically and horizontally sectioned at every 60 cm. 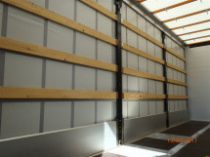 The vertical cargo strap is of 2300 daN, and the horizontal of 1200 daN. The side curtain tension system can be of direct type, or of high type with cargo straps. 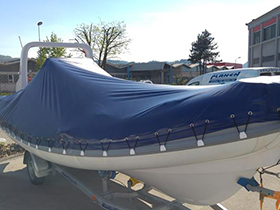 The tarpaulin is additionally reinforced to assure a perfect stability of cargo during transport. 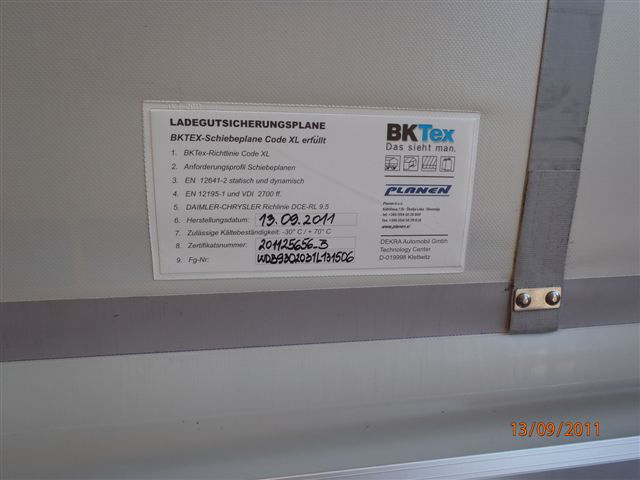 It is not rare that German but also other European companies reject loading a cargo if the trailer is not equipped with a certified XL CODE tarpaulin. 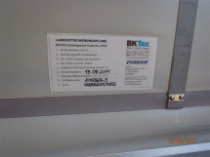 The certificate is clearly noticeable as every BKTEX side curtain has a special designation welded on left and right part of the side curtain. This designation assures that the curtain is made in compliance with the BKTEX guidelines CODE XL and DAIMLER-CHRYSLER DCE-RL 9.5. 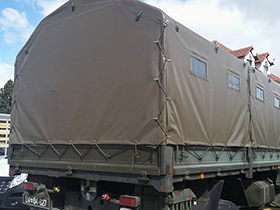 The side curtain may further contain the date of manufacture, the number of certificate and the number of the chassis of that particular vehicle, trailer or semi-trailer, to which the BKTEX tarp refers. 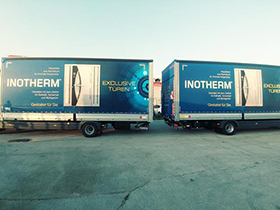 Trailers or semi-trailers with BKTEX side curtains, undoubtedly, offer a decisive advantage to forwarding companies as the XL CODE certificate is already requested by the German and, recently, also by the Austrian police. 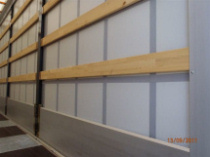 Many a company was denied the chance of reloading the cargo, or are even got fined because the cargo was not properly secured failing to have the XL CODE certified side curtains. 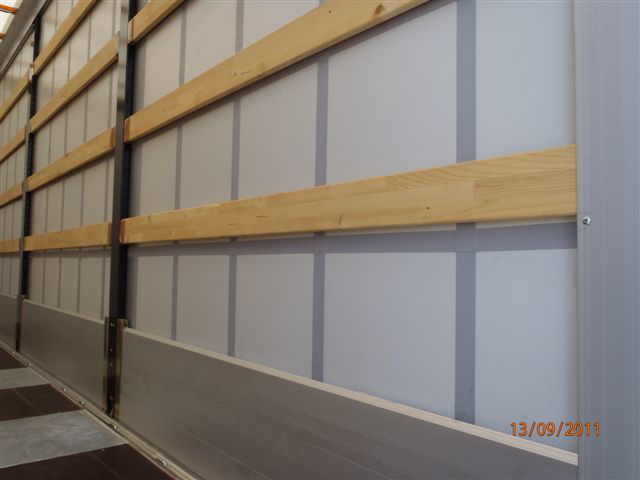 The photos clearly illustrate that the BKTEX side curtains with the XL CODE certificate are much more compact as more reinforcement material is installed in the tarpaulin. 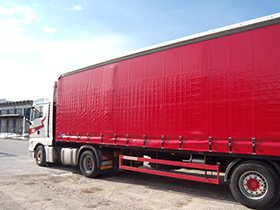 Due to the ever stricter European safety regulations on rigorous supervision and inspection procedures, it is recommendable to equip trucks with the XL CODE certified tarpaulins. 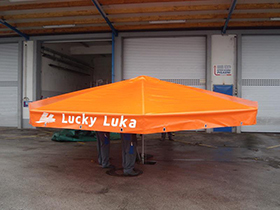 Purchasing an XL Code tarpaulin is a worthwhile investment in a safe and reliable business. 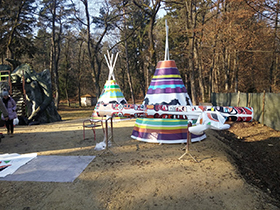 The products manufactured by Planen d.o.o. have been XL CODE certified by the German company DEKRA. 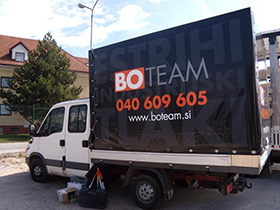 Truck tarpaulins are manufactured with special procedure with strips, vertically and horizontally divided into sixty centimetres. 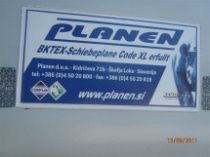 The products manufactured by Planen d.o.o. have been XL CODE certified by the German company DEKRA. 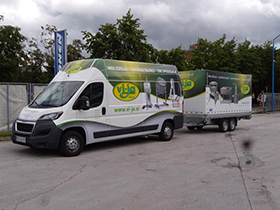 All built-in parts have been certified and approved by the German company DEKRA.